Juliette Lewis will be hitting the road for a string of North American shows. And New York, she will be making a stop at Brooklyn Bowl on August 6. See below for more details and dates. Juliette Lewis released her new single, "Hello Hero" in April. You can pick it up HERE. You can listen to the track below. 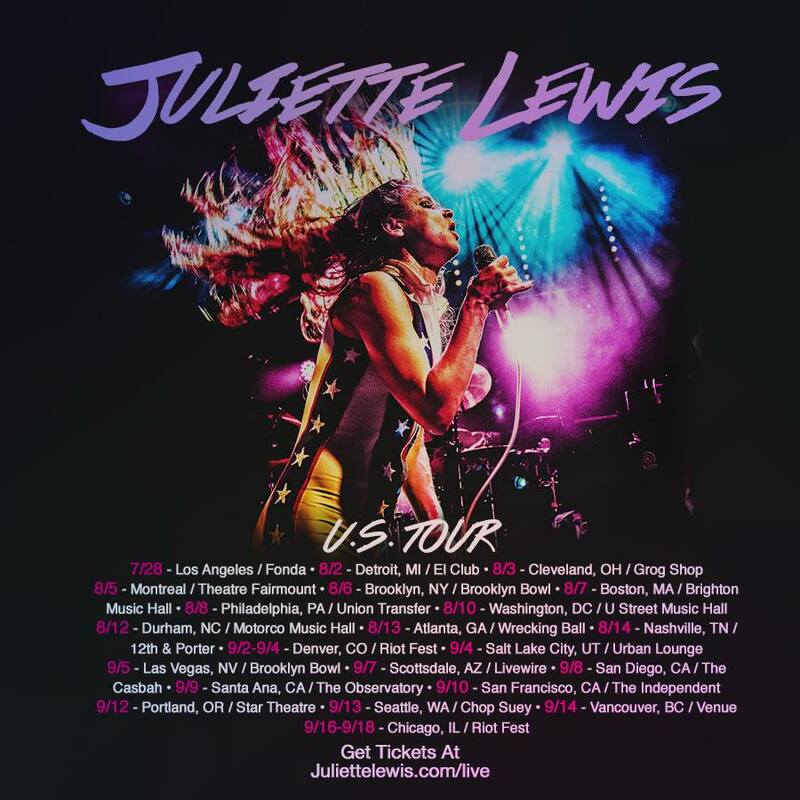 Said Juliette Lewis... "Songwriting and recording is one thing but the live show is really what I'm made to do. I like creating a super visceral experience and putting on the type of show you walk a way from feeling like your heart is on fire and you just lived through something. I want people to experience everything I feel on that stage but in a dramatic catharsis of energy. The set should take you on a ride of danger, loss, seduction and celebration."